Having eaten 3 meals that were non-Asian, we broke down and went back to the well. It is true we had made a vow to eat something other than Asian food on our little getaway to Seattle, but we just couldn't hold out. 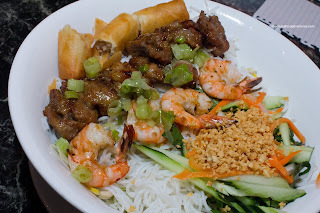 Therefore, with not a lot of time allocated for dinner, we went for Vietnamese food (which is usually quick and cheap). At first, we considered "What the Pho?' since it sounded cool, but after some internet research, it appeared that would be the only good thing about the place. 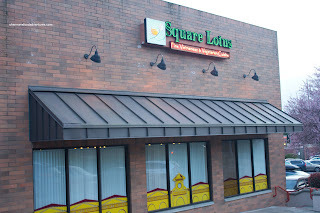 Hence, we headed over to Square Lotus instead. I punched it into the GPS and we went on our merry way. Unfortunately, the GPS decided to make things more complicated than it should've been. It instructed us to make a U-turn where it was not really possible. Turns out that I could've merely turn left into the strip mall. Moral of the story: don't listen to your GPS when it wants you to put your life at risk with illegal maneuvers. Settling into the restaurant, we were impressed with the decor as there was an air of class, not usually associated with regular Vietnamese restaurants. Furthermore, the prices were quite reasonable despite the apparent class upgrade. Onto the eats, we started with the BBQ Pork Summer Rolls. For us, BBQ pork in a Vietnamese restaurant would be grilled pork (sometimes with lemongrass). But to our surprise, it was Chinese-style BBQ pork in the rolls. The BBQ pork was very lean which made it very dry. Within the nicely prepared rice wrapper, there was crunchy wonton strips, basil and properly textured vermicelli noodles. 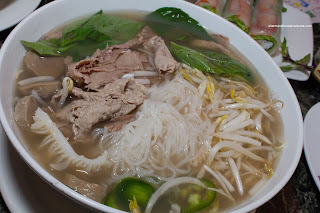 For myself, I went for the standard, being the Pho Dac Biet (or the everything Pho). 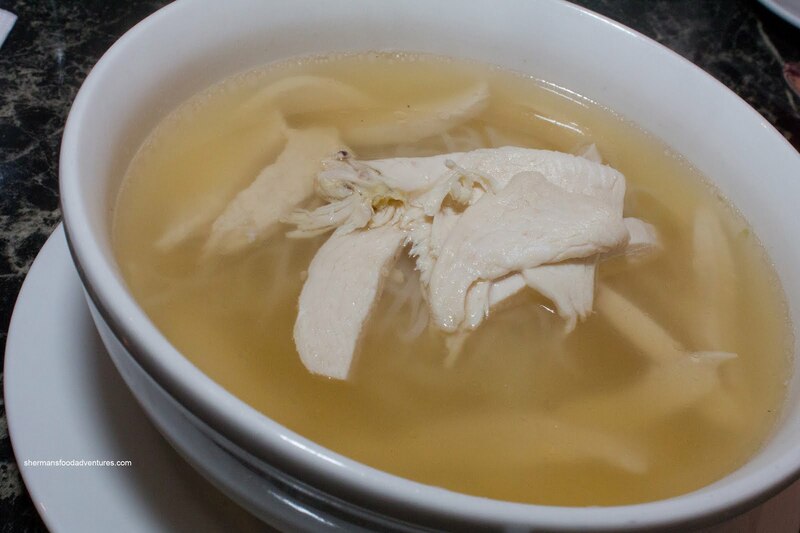 The broth was rather light with a minimal amount of MSG. It wasn't a flavour explosion, yet it was well-balanced. The noodles were not clumpy and al dente while the meats were plentiful and mostly tender (except for a few tough pieces). Viv had the House Special Vermicelli Bowl consisting of a spring roll, grilled pork and shrimp. 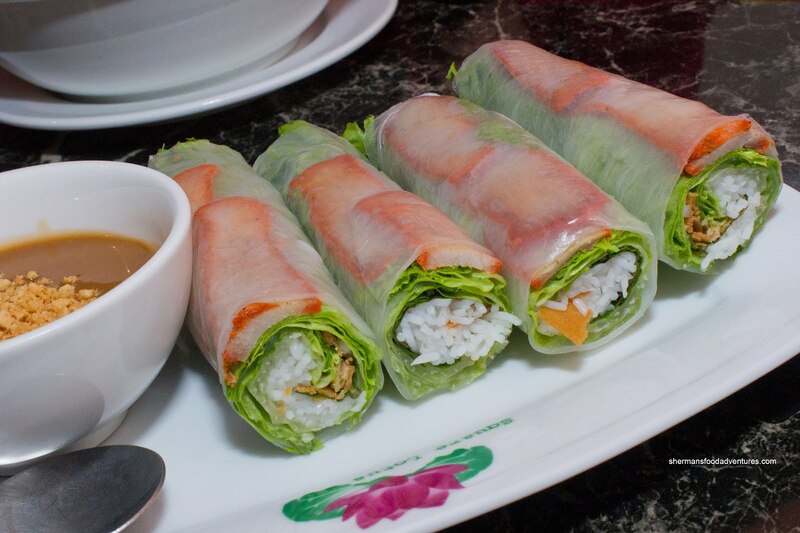 Although they didn't use the proper rice wrapper (opting for a wheat wrapper), the spring roll was still quite tasty. It was crisp with a well-seasoned moist filling. The grilled pork was moist and tender exhibiting a wealth of flavour. As for the grilled shrimp, this was probably the highlight of the dish. They had a great snap texture and again, was well-seasoned. Viv really enjoyed the dish and remark that it was prepared carefully, unlike some of the other ones shes had which were merely thrown together. The kiddies shared a Pho Ga which had a chicken broth that was flavourful with plenty of depth. Again, it was not too salty. However, the chicken was very dry and kind of hard to chew. 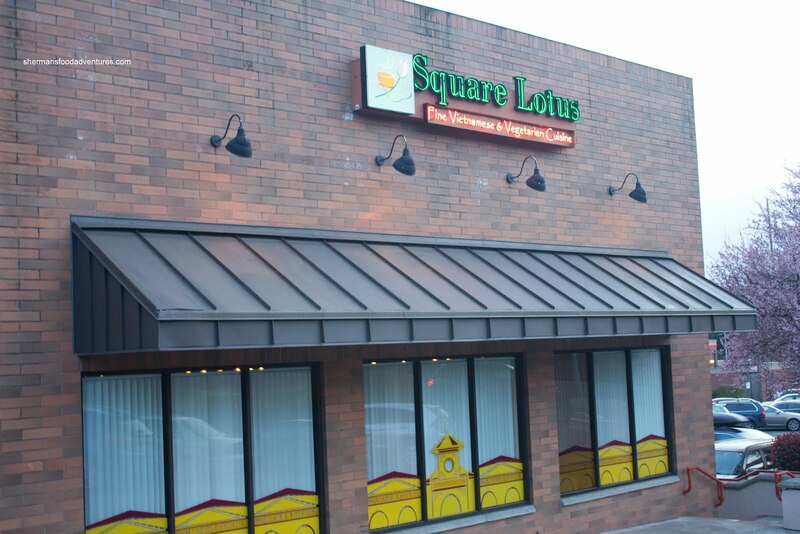 Chicken meat and BBQ pork withstanding, the food at Square Lotus was pretty good. Considering the classy dining space, reasonable prices and decent service, there is not much to dislike about the place.